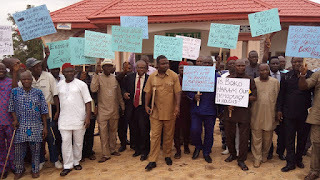 A mild drama played out Friday between men of the Department of the State Security Service DSS and lawyers which has since been described as a national embarrassment and shameful bickering over an alleged show of power between the men of the bar and DSS operatives in Awka. On investigation, it was gathered that a yet to be identify DSS official allegedly mal-handled a 57-year-old lawyer at the Awka South Magistrate Court entrance, where the later was said to use the untarred road that lead to the court, without negotiating to know if an oncoming saloon car was driving out of the court premises. The immediate past Minister of Finance, Ngozi Okonjo-Iweala, has shifted the blame on former President Goodluck Jonathan over the controversial withdrawal of $2bn from the excess crude revenue account (ECA) in December 2014. 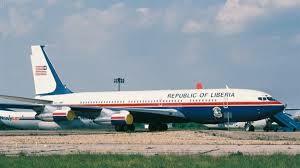 The Nigerian Civil Aviation Authority says it has no plan to ban Liberian airlines from coming into Nigeria, following a fresh outbreak of the Ebola Virus Disease in Liberia. NCAA’s General Manager (Public Affairs), Mr. Fan Ndubuoke, said this on Friday while speaking with the News Agency of Nigeria in Lagos. NAN reports that a fresh case of Ebola was detected in Liberia, nearly two months after the West African country was declared free of the virus by the World Health Organisation. 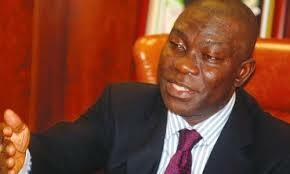 The Deputy Senate President, Ike Ekweremadu, on Thursday said the Boko Haram insurgency had worsened under President Muhammadu Buhari. Ekweremadu said the former President Goodluck Jonathan administration had almost rolled back Boko Haram and its activities in the North-East. The deputy senate president also expressed the fear the insurgents could also attack Abuja and the southern part of the country soon. Speaking to journalists in Abuja, he chose not to answer questions on his alleged involvement in the forgery of senate rules but said he had been worried about the renewed attacks by Boko Haram. He said, “I am worried about the resurgence of Boko Haram activities in Nigeria. Shortly before the inauguration of the present government, the country had almost rolled back Boko Haram and its activities in every part of Nigeria – from Adamawa to Borno to Yobe. 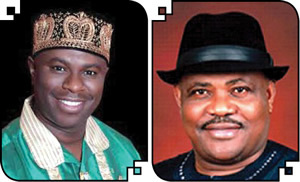 The Rivers State Governorship Election Petition Tribunal sitting in Abuja on Thursday reaffirmed its ex parte order made on June 11, 2015, granting permission to the All Progressives Congress and its candidate in the April 11, 2015 governorship election in the state, Dr. Dakuku Peterside, to inspect the electoral materials used for the poll. Peterside and the APC had on May 3, 2015, filed their petition before the tribunal to challenge the victory of the Peoples Democratic Party and its candidate, Nyemson Wike, in the poll. The Justice Mu’azu Pindiga-led tribunal, in a ruling on Thursday, dismissed Wike’s application asking for the setting aside of the June 11, 2015 order. The Governor of Ebonyi State, Dave Umahi, on Thursday explained why the planned protest by traders against the relocation of some Boko Haram suspects to Anambra State did not hold in the state. He told journalists during an inspection tour of ongoing projects in Abakaliki that since the suspects had already been taken to Abuja, the protest was unnecessary. He said, “The traders have the right to protest but there was no need for the protest because we (South-East governors) had enjoined the Federal Government not to relocate any Boko Haram prisoner to any prison in the South-East. 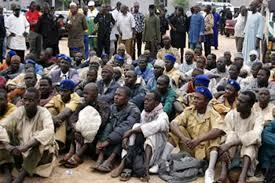 Those suspects brought to Anambra State have been taken back to Abuja. Umahi said that risking the lives of the people of the state on the streets was not the best. It was gathered that the planned protest by the traders was expected to take place simultaneously across the five states of the South-East. 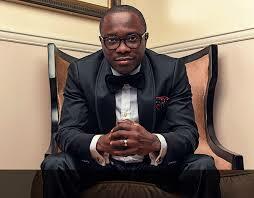 As fans of celebrated comedian, Julius Agwu, hope for his early return to the entertainment scene, he has given further details on the health issue that has taken him out of circulation for some time. Agwu shocked many people earlier in the week when he revealed in YES magazine that he had undergone a surgery for brain tumour. According to Agwu, the crisis started with a progressive weight loss until he suffered a seizure in May. 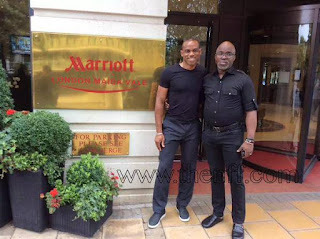 After his wife, Ibiere, and maid initially rushed him to their hospital in the Lekki area of Lagos, where he was stabilised, they had subsequently taken him to the United States for further treatment. 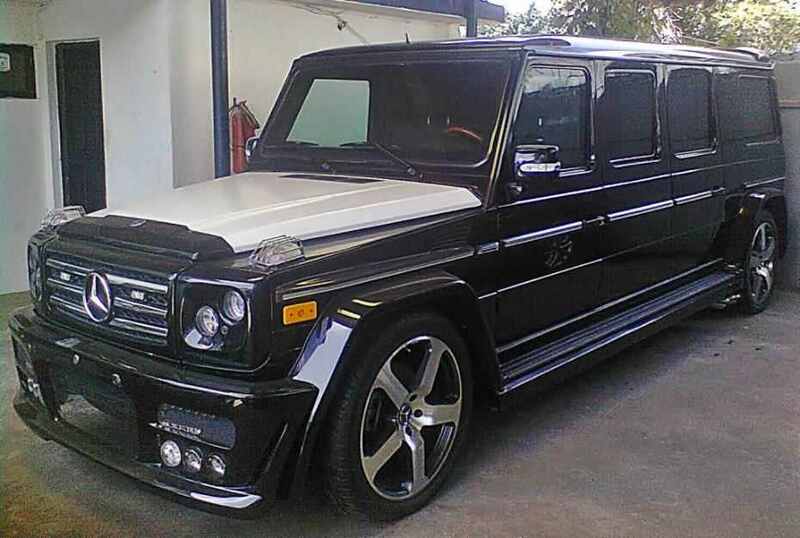 President Muhammadu Buhari has turned down an offer by the Federal Government to procure five new armoured Mercedes Benz S-600 (V222) cars for his use. The cars which total cost is put at about N400m were planned to be purchased by the State House. A Presidency source told journalists on Thursday that Buhari got to know of the plan when the Permanent Secretary, State House, Mr. Nebolisa Emodi, was briefing him of his ministry’s activities on Wednesday. Two days after hoodlums suspected to be sympathetic to the All Progressives Congress, APC allegedly unleashed terror on anti-Aregbesola’s protesters in Osogbo, some residents of the state capital were again yesterday attacked over an alleged opposition stance against the governor. The fresh attack took place at a popular news-stand, Makson Junction, opposite old Governor’s Office in Osogbo with several innocent people sustaining various degrees of injuries. The thugs numbering about 25 stormed the place in six mini-buses and with all kinds of arms such as guns, axes and cudgels started chasing and beating up anyone at sight. All major markets in the South East geopolitical zone were yesterday shut down by traders against alleged decision of the Federal Government to transfer Boko Haram prisoners from the north to Ekwulobia prison in Anambra State. The one day protest was agreed upon during a well-attended meeting of the South East Amalgamated Traders Association held at 52 Modebe Street in the commercial city of Onitsha on Saturday, July 4. Participants at the meeting were reportedly drawn from various traders’ unions and associations in the South Eastern states of Abia, Anambra, Ebonyi, Enugu and Imo. They condemned the alleged transfer of the Boko Haram prisoners to Ekwulobia prison and asked President Muhammadu Buhari to as a matter of urgency, order the removal of the terrorists from Igbo land. With about 302 million people on twitter, you can’t possibly follow everyone. But these statistics prove that these five Nigerians just might be worth your click. (@obyzeks) Earlier this year, @Time Magazine named Nigerian political activist and writer ObiageliEzekwesili as one of the 100 most influential people in the world. Her activism and writing has gotten her worldwide renown and accolades. With her 310,000 followers on Twitter, she is constantly reaching out to them, advocating for various campaigns and speaking on current affairs. Popular RnB artiste, Darey Art Alade has returned to reckoning as he drops two new singles. The songs, ‘Pray For Me’ featuring Soweto Gospel Choir and ‘Àsìkò Laiyé’ featuring Olamide, premiered during the week on major radio stations across the country. With the release of these songs, Darye has relaunched himself into the mainstream music world. He has also given his fans a taste of what they should expect from his fourth album. In Àsìkò laiyé’, the singer blends the afrobeat tune with elements of hip-hop, funk and high-life. After 10 months of sitting, the Lagos Coroner’s Inquest into the collapse of a six-storey building belonging to the Synagogue Church of All Nations (SCOAN), yesterday, in Ikeja indicted the church for “criminal negligence” and recommended that it be prosecuted. 116 people died in the tragic incident. The court said the Church did not get the necessary permit or approval before commencing construction of the building. 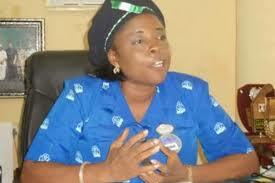 The Lagos State Government inaugurated the Coroner’s Inquest under the state’s Coroner’s System Law No. 7 of 2007 to investigate the cause and circumstances leading to the death of 116 people, mostly South Africans, following the building collapse of September 12, 2014, and bring its findings and recommendations to the appropriate authorities. 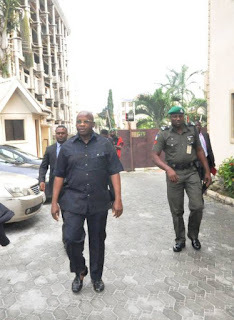 Justice Adeniyi Ademola of the Federal High Court sitting in Abuja on Thursday, July 9, 2015 admitted former governor of Imo State, Ikedi Ohakim, to bail. Ohakim was arraigned on Wednesday, July 8, 2015 by the Economic and Financial Crimes Commission, EFCC, on a three-count charge bordering on money laundering. Moving the bail application today, Ohakim’s counsel, Chris Uche, SAN, prayed the court to admit his client to bail on liberal terms, adding that the charges are bailable. However, prosecuting counsel, Festus Keyamo, urged the court to refuse the application. After listening to both counsels, Justice Adeniyi admitted the accused person to bail in the sum of N270m (Two Hundred and Seventy Million Naira) with one surety who must be resident in Abuja. The surety, who must have landed property within Abuja, must swear to an affidavit of means. The surety is also to deposit his/her international passport with the Deputy Registrar of the court. The case has been adjourned to October 20, 2015. Senate President, Dr Bukola Saraki (middle); Deputy Senate President, Ike Ekweremadu (left) and the Central Bank of Nigeria (CBN) governor, Mr Godwin Emefiele, after Emefiele's visit to the National Assembly. SENATE President, Dr Bukola Saraki, on Wednesday, asked the Central Bank of Nigeria and the Nigerian Customs Service (NCS) to recover the sum of N30 billion allegedly granted as waivers to rice importers by the administration of former president, Dr Goodluck Jonathan. Saraki, who made the call when he spoke to newsmen after a three-hour meeting with the Governor of CBN, Mr Godwin Emefiele, said the agencies should recover the funds meant for the country. He stated that the CBN must take steps to diversify the nation’s economy and reduce import dependency. “We must also show the big signals in things that will bring out success of this policy, for example, you (CBN team) brought to our notice the issue of the waivers on taxes and duties, especially on rice, which is about N30 billion that were granted to certain companies, this money must be paid back to the Federal Government. The Presidency has rubbished claims by the Peoples Democratic Party (PDP) that President Muhammadu Buhari’s bailout funds for the state was gotten from savings of former Nigerian President, Goodluck Jonathan. In a statement issued by Femi Adesina, special adviser on media and publicity to Buhari, he noted that Nigeria’s main opposition party’s claim was false, banal and ludicrous. “The Presidency deplores the attempt by the PDP and its agents to create an unnecessary controversy over the well-intentioned effort by President Muhammadu Buhari to give some relief to state governments and long-suffering public sector workers,” the statement said. “We also reject the banal and ludicrous demand by the PDP Spokesman, Olisa Metuh that the PDP Government which was ousted by Nigerians at the last general elections for running the country aground, be given some credit for “saving” the funds that were disbursed as part of the intervention package approved by President Buhari. “Mr. Metuh’s claim that a significant amount of the funds came from savings accumulated in the Excess Crude Account and handed over to the Buhari administration is completely false and deliberately intended to mislead the public. President Muhammadu Buhari today blamed the administration of former President Goodluck Jonathan for the delayed response to the rescue of the over 200 schoolgirls of Government Secondary School, Chibok, Borno State abducted since the night of April 14, 2014. Speaking when he met members of the BringBackOurGirls campaign at the Presidential Villa, Buhari said there was no way government can rationalize the incompetence in dealing with the issue of the abducted schoolgirls. “I don’t think representing the government of Nigeria, we cannot rationalize the government incompetence in dealing with this issue. We only ask for your patience. It is unfortunate that the security and federal government’s conflicting reports initially presented the government and it’s agencies in a very bad light but nationally and internationally because the law enforcement agencies and the government were conflicting each other sometimes within hours or within weeks, that is not very impressive,” Buhari said. The controversies generated by the curious transfer of 47 Boko Haram suspects to Ekwulobia Prisons in Anambra State may soon go away following a 2-hour closed door meeting Wednesday between the governor of Anambra State, Chief Willie Obiano and a 7-man delegation from the National Security Adviser at the Governor’s Lodge, Amawbia. The meeting which attracted highly respected senior citizens of the state took place on the instance of the Presidency following a passionate appeal by Governor Obiano to the Presidency, endless protests and wide agitations by traders, the South East Governors’ Forum, Ohaneze Ndigbo, Aka Ikenga, members of the Christian Association of Nigeria (CAN), Anambra State Council of Traditional Rulers, Association of Town Unions, civil society groups and numerous social cultural associations across the region against the transfer of the dreaded inmates from Chad to Ekwulobia. We the Presidents General (Community Leaders) of the 177 communities in Anambra State, under the auspices of the Anambra State Association of Town Unions (ASATU) received with shock, embarrassment and disdain the news that the Nigerian Prisons Service, a parastatal of the Federal Ministry of Internal Affairs had transferred some detainees of the dreaded violent terrorists of Boko Haram extraction from Borno State in the North East Zone of Nigeria to Ekwulobia in Aguata Local government Area of Anambra State. It will be recalled that the people of the Southern part of Nigeria, particularly the South Easterners, their worship centres, business outlets and locations, social gatherings etc were the first targets of this callous, vicious and violent organization that killed, maimed and displaced our people from their various areas of livelihood in Northern Nigeria. The heated controversy generated by the recent implementation of a voluntary laptop acquisition scheme for primary school teachers in Anambra State has finally been dispelled by the state Commissioner for Education, Prof. Kate Omenugha who revealed that the revolutionary policy was actually an initiative of the National Council on Education that was hatched in 2012. Addressing journalists in Awka on Tuesday, Prof. Omenugha wondered why there was so much hoopla over a policy that her Ministry was merely implementing to give Anambra children the chance to compete with their peers from across the globe in an ever dynamic computer age. The Commissioner used the opportunity to re-emphasize the fact that the laptop acquisition scheme which gives primary school teachers a chance to acquire first rate laptops complete with a synchronized tutorial package was actually a voluntary scheme and as such not mandatory on the teachers to subscribe to. The wife of the governor of Anambra State, Chief (Mrs.) Ebelechukwu Obiano has commended the UBA Foundation for supporting the Girl Child Education Campaign of her pet project, Caring Family Enhancement Initiative (CAFÉ), with a donation of books. A delegation led by the Regional Bank Head of UBA, Mr. Jerry Azih today presented 20 copies of Things Fall Apart by the late Anambra State born literary icon, Professor, Chinua Achebe, and 208 copies of The Girl Who Can and Other Stories by Ghanaian Author, Ama Atta Aidoo, at her office in Government House Awka. The traditional ruler of Nkpor community in Idemili North Local Government Area of Anambra state, His Royal Highness, HRH, Igwe Christopher Ibegbunam II (Eze Nkpor) has appealed on the Anambra state government to as a matter of public importance support the plans of the community to democratically elect a leadership for the Community to avert imminent break down of law and order. Igwe Ibegbunam called on Governor Willie Obiano to stop further recognition of the Interim Management Committee (IMC) led by Chief Ngozi Anyakora and Barrister Raphael Asha Nnabuife as their continued stay in office has caused much agony and distrust for the community that are anxious to elect their substantive town union leaders. Igwe Ibegbunam however warned that should the relevant authorities ignore the appeals from the traditional institution and the community leaders, the state government should not hold him accountable for any breakdown of law and order in the area. Former Super midfieder, Sunday Oliseh is in advanced talks with the Nigerian Football Federation over becoming the new Super Eagles coach. The 40-year-old super eagle 1994 USA World cup set, who captained Nigeria and won 63 caps, is set to be appointed in the coming days. The NFF have acted quickly to fill the vacancy following the sacking of Stephen Keshi on Saturday. Oliseh was part of the Nigeria squad that won the Africa Cup of Nations in 1994 and Olympic gold two years later. He also played at the World Cup in 1994 and 1998, helping the Super Eagles to the last-16 at both tournaments and in the latter he scored a memorable winner as Nigeria shocked Spain 3-2 in a group match. Not Fewer than Thirty-four Nigerian students including 21 Nnamdi Azikiwe University, Awka students have been awarded the 2015 Confucius Institute Scholarship by theChinese Government. The scholarship which would afford the 34 students who had passed through the Confucius Institute, Nnamdi Azikiwe University, Awka the opportunity to study in various disciplines in Chinese Universities has been approved by HanBan Headquarters. An elated Vice Chancellor of the University, Prof. Joseph Ahaneku who disclosed this to reporters with a list of the benefiting students said the feat was made possible from the outcome of the university’s partnership with Xiamen University China. Operatives of the Anti Kidnap Unit of Enugu Police command have rescued, unhurt, a kidnap victim who was allegedly abducted on July 3. The victim was rescued at Abunuzu-imezi Owa forest in Ezeagu Local Government Area of Enugu State following intelligence report gathered on the activities of the suspects. Police source revealed that the suspects had engaged the operatives in a gun duel but were however subdued by the operatives. Police Public Relations Officer, PPRO, Mr. Ebere Amaraizu confirmed the rescue incident adding that some of the suspects were injured during the exchange of gunfire. According to Amaraizu:”Suspects gave their names as Umaru Abubakar, Iya Bello, Ruwa and one other who could not give his name are helping the operatives in connection with the alleged criminal offence as well as various act of kidnapping, armed robbery along Enugu-Onitsha Highways. lawmaker representing Bayelsa East Senatorial District, Senator Ben Murray Bruce, has stated that Nigerians elected a man and not a magician, urging for patience with the former military ruler. The #Commonsense advocate also berated those he accused of politicizing the recent terror attacks in the country. Ben Bruce, elected on the platform of PDP and representing the Senatorial District of former president Goodluck Jonathan, stressed that his idea of opposition is not to attack Buhari or the ruling party, All Progressives Congress, APC but to proffer alternative solutions and ideas for the betterment of Nigeria. “Shame on anyone wanting to politicize recent terror attacks. @MBuhari needs our support to defeat terror & we have a duty to give it to him”. “My idea of opposition isn’t to attack Buhari/APC. Opposition to me is proffering alternative solutions/ideas for the betterment of Nigeria”. “Again, I repeat that nations grow over time not overnight. Give President @MBuhari time. Nigerians elected a man not a magician”. have called on the federal government to relocate the 47 Boko Haram Prisoners, recently brought into Aguata Prison, Ekwulobia out of the state as businesses have grounded in the zone and investors have started fleeing the council area. The Presidents general who briefed journalists yesterday in their office under the aegis of Anambra State Association of Town Unions, ASATU before embarking on a peaceful protest said the federal government led by President Muhammadu Buhari has no reason at all to move the terror suspects to Anambra State or anywhere in the south East. Floyd Mayweather was Monday stripped by the World Boxing Organization of the welterweight world title he won by beating Manny Pacquiao two months ago in what was dubbed “the fight of the century”. Mayweather had failed to meet the deadline last Friday for paying the $200,000 sanctioning fee required by the WBO after he took the belt from Pacquiao on May 2 in Las Vegas, in the richest fight of all time, earning a reported $220 million in the process. WBO rules require boxers to pay 3 percent of their purse to fight for a world title up to a maximum of $200,000. The rules also prohibit WBO champions to hold any belts in any other weight divisions. Mayweather is currently also the WBC and WBA champion at junior middleweight (154lb), as well as at welterweight (147lb). As fresh facts begin to emerge about the Ikorodu banks robbery operation where N80 million was reportedly carted away a fortnight ago, one of the suspects has revealed that they planned the operation at a meeting that lasted 30 minutes. It was also discovered that 12 members of the gang were recruited from the Niger Delta region. This is just as the four suspects arrested in connection with the operation, which lasted close to two hours, have confessed that their gang was responsible for similar operations at Ijede road three weeks before that of Ipakodo also at Ikorodu, and that of Lekki, where five persons, including three policemen, were killed. The arrested suspects include Omoboye, alias Alarm blow, 39; Bright, 25; Ikuesan, 37, and Abiwa, 20. The bank robbery, according to Bright, was carried out by an 18-man gang. Bright, a graduate of English/Christian Religious Study, CRS, from the College of Education, Ekiadolor, Edo State, said a meeting with members of the gang, chaired by the gang’s leader, whose identity he gave as Million, was held in Abule area of Lagos same day the operation was carried out. The father of two said: “Million is our leader. I was introduced to the gang by a friend named Akpan. I joined because I had no means of feeding my family. I am a wood logger, but business has been bad. Lagos State Deputy Governor, Dr. Idiat Oluranti Adebule, monday played host to Mrs. Ruth Uche and her three sets of twins, who were abandoned by her husband, Mr. Benjamin Uche. The visit by Mrs. Uche to the deputy governor’s office was a follow-up to the directive of the governor of the state, Mr. Akinwunmi Ambode, who directed that the woman and her children be rehabilitated and assisted by all relevant government agencies to ensure they are in good condition. Speaking while hosting the woman at her Alausa office, the deputy governor sympathised with her over the traumatic experience she has had to endure in trying to raise the six children following the disappearance of her husband, assuring her that the government of Lagos State was ready to come to her aid and ensure the well-being of her children. “As a woman and a mother, I can only imagine what you have gone through managing six children, it must have been energy sapping and depressing. But I salute your courage and I want to assure you that this government will not abandon you, we will stand by you and ensure that you are assisted to get back to a normal life,” Adebule said. Nigeria and the entire world know that the highest victims of the insurgency in the Northern part of this country has been the South East, Ndigbo. There is no State in Igbo land that has not gotten reasonable shares of the consequences of the bombings and killings perpetrated by this callous and deadly sect. It clearly amounts to insensitivity from the part of the decision makers on security matters in this country to lumber us with the same people that have killed most of us, maimed some of us, displaced some of us, made some of us refugees in our country, chased so many of us away from the locations we have lived and invested our efforts and sweat over the years. These internally displaced brothers and sisters of ours,instead of getting compensated by the Government, instead of being rehabilitated emotionally, psychologically and financially for irreparable and irreplaceable losses that they have suffered, are now being pursued into the villages by dumping the same people that have been dealing with us ruthlessly at our door steps. 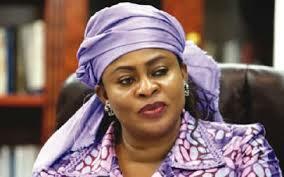 The National Assembly Election Petition Tribunal sitting in Awka has adjourned continue hearing in the matter between Petitioner, Dubem Obaze of the All Progressive Grand Alliance and Senator Stella Oduah of the People Democratic Party to 14th of July to enable parties consolidate their petitions before her for speedy adjudication. The chairman of the Tribunal Justice H.O Solanke had requested the parties to ensure they compile their pending motions to be accommodated in the substantive applications to enable the court deliver a uniform judgment as regards the 180 provision for the tribunal. Justice Solanke had earlier dismissed two motions out of three sought by the counsel to the petitioner Chike Onyemenam SAN to be included in the substantive application and granted the third motion which sought to grant access to some documents from the Independent Electoral Commission , which according to INEC was served on them in court this morning and prayed the court to grant them time to study before reply. Speaking to newsmen counsel to the applicant, Barrister Chike Onyemelum SAN lauded the position of court to enable both parties expound their petitions before the stipulated days granted for election petition tribunal by the constitution. We Don't Want Dangerous People In Our Midst------Ojukwu Jr. The candidate of Nnewi North and South House of Representative Candidate in the March 28th National Assembly election, Chief Emeka Ojukwu Jr. has urged president Muhammadu Buhari to relocate the men of the suspected Boko Haram inmates allegedly transfer to the Ekwulobia Prison, in Aguata Local Government Area of Anambra State, Nigeria. He expressed disappointment that persons of criminal magnitude would be considered for Anambra state being a state that does not share geographical location with North east where the insurgent have as their stronghold. He said, ‘'Nobody wants dangerous element in their midst that is why a lot of people do not like prisons situated in their neighbourhood , prisons have to be built somewhere ,, once you build prison there, any criminal can be sent there '. has called on the Federal Government of Nigeria to as a matter of urgency to relocate the Boko-Haram terrorist inmate transferred to Ekwulobia Prison penultimate last week out of Anambra state. The association’s call came amidst protest by the women, youth wings of the body as well as their clerics at the Emmaus House in Awka, the Anambra State capital. In the communiqué signed by the Chairman and Secretary of the Christian Association of Nigeria, Anambra State Chapter, Special Senior Appostle Tim Okpala and Revd. Moses Ezedebego respectively after an emergency meeting of the State executives and leaders of CAN forum in the State, the Chairman of the association in the state, Snr. Apostle Tim Okpala, said the insurgents should have been taken to other place or places in the country but not in Anambra State or any part of South East. Worried by accumulated salaries nationwide, President Muhammadu Buhari on Monday approved the release of N713.7billion intervention funds for states. The bail-out was part of a three-pronged relief package that will end the workers plight. While N413.7billion represents special intervention funds, the balance of about N250billion to N300billion is a soft loan to states. Also, N413.7billion ($2.1billion) is sourced from the recent Liquefied Natural Gas proceeds and the remaining N300billion is a Central Bank-packaged special intervention fund. The Debt Management Office (DMO) is expected to assist states to restructure over N660billion commercial loans crippling their economy. With the development, President Buhari has stopped deduction of monthly allocations to states at source. Five Nigerian students have been arrested and detained in Malaysia over their alleged involvement in an internet fraud amounting to N125.2million (RM2.4 million) in Selangor and Kuala Lumpur. The five students, aged between 20 and 30, and pursuing Information Technology courses in a leading private college in Kuala Lumpur, were arrested on June 30, 2015 at different areas in that country including Petaling Jaya, Cyberjaya, Damansara and Kuala Lumpur. Following the arrest of the five students, police also detained the two local women, aged 40 and 55, who are the owners of the accounts used by the syndicate said Penang Commercial Crimes chief ACP Azmi Adam. ACP Azmi said police also seized five laptops, 20 hand phones, ATM cards, SIM cards and documents believed to have been used to con their victims. 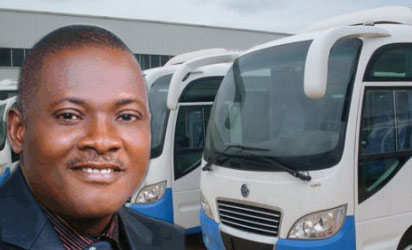 News Making round now indicates that Dr. Innocent Chukwuma, Chairman of Innoson Vehicles Manufacturing Co. Ltd, the first indigenous vehicle manufacturing plant in Nigeria is in allegedly for a serious trouble in his vehicle manufacturing business if Governor Willie Obiano did not intervene and start buying vehicles from him. 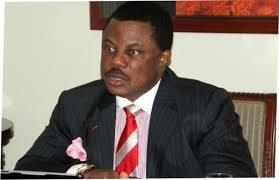 The document in our possession showed that unless Governor Willie Obiano rescinds his decision to continue to buy TATA buses as all the Federal ministries and Agencies as well as various state governments have told the Innoson company that they would not continue to patronize him since his state government did not deem his vehicles fit to buy but buys TATA , a non indigenous buses. Innoson is proudly Nigeria. Is President Muhammadu Buhari in firm grip of governance yet after thirty days in office? Despite efforts by the President’s media office to tone down the impact of a voluntary confession, the President’s age limitations statement in South Africa is certain to be a factor in analysis of its leadership performance. Unsettled by the emergence of a national assembly leadership it did not reckon with, the new regime’s faltering start has further echoed with yet to be refuted reports that ministerial appointments are to be delayed till September. Nigerians are finding the continued bemoaning of an empty treasury tiresome and a weak defense for policy freeze. In the wake of growing concern over the direction and dynamism of the new government, the transfer, against public outcry, of 4 7 suspected Boko Haram militants to Ekwulobia Prison in Anambra State is confounding. Governors of the South-East states under the aegis of the South-East Governors’ Forum yesterday charged the presidency to relocate the 43 Boko Haram suspects in Anambra State to Abuja. At a joint news briefing in Owerri, the Imo State capital, the governors stated that Abuja has adequate security to contain such high profile criminals. Governor Rochas Okorocha, who spoke on behalf of the governors, called on the presidency to take a second look at the relocation of the 43 Boko Haram suspects to Anambra State, saying the development has only created fear and anxiety in the region. Okorocha noted that the apprehension of the people was genuine and, as such, was an issue of concern to the governors of the region. 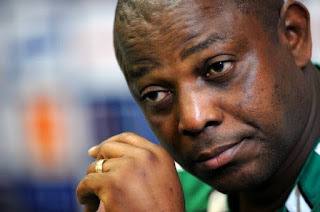 The Nigeria Football Federation (NFF) has sacked Stephen Keshi as Super Eagles coach. The NFF announced the sacking on their website late on Saturday night, following intense speculations on social media. Former Eagles coach Shaibu Amodu will take temporary charge of the team, along with Salisu Yusuf, a former Keshi assistant. In a bid to ensure freedom of information law passed by the 7th National Assembly is respected to ensure public office holders are accountable to the people and access to information of government is respected, the Anambra state government has expounded his administration resolve to work with the media to deliver open door policy of governance devoid of selfless leadership prowess to the people. He assured that his government has remained one of the administrations that has also taken into consideration of including media practitioners in the programme of government to provide open access to information about Anambra state added that his administration is willing to strengthened the already established relationship with the media if adequate reporting and respect for institution of government are observed. Speaking to members of the Anambra State Online Publishers in Awka, the Anambra state commissioner for health Doctor Jeosapath Akabuike, assured the readiness of the state government to strengthen the already existing relationship with journalists and however express hope that it would be extended to the men of the Online Publishers, being the nascent and fastest way of information disseminations network. 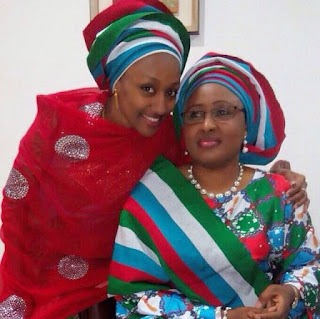 Following enquiries by a few foreign missions on the raging online controversy about unsavory comments against some foreign leaders purportedly made by her, we wish to state categorically that Zahra is indeed on Twitter but the offending handle @Zahra_Buhari has stopped being her own for a long time since it was compromised by hackers. Tweets by this handle are therefore not her own and should be disregarded and considered as the work of hackers seeking to cause mischief between this country and other friendly states. Zahra's authentic handle is @ZmBuhari and any handle other than this on Twitter should be considered as fake and therefore fraudulent. Ashiwaju.org was reliably informed by Presidency sources, yesterday, that part of the reasons for the seeming prolonged process of resolving the crisis in the All Progressives Congress, APC, may be the slightly differing positions of President Muhammadu Buhari and Asiwaju Bola Ahmed Tinubu, a former governor of Lagos State, regarded as a leader and financier of the party. One of the sources added: “At the meeting between the governors and the warring parties that followed the APC NEC parley, Sokoto State governor, Aminu Tambuwal, was mandated to chair a committee of three that would come up with possible resolutions to the crisis.